Many times, babies otherwise well and healthy will start to cry intensely and even get a fever as soon as visitors leave the house. At night they don't sleep well and they seem to be very irritated. And you wonder what happened to your daughter or son so suddenly? If someone who is negative focuses on the baby through their eyes they can pass strong negative energy, which then disturbs the child's aura and can also affect the body. A person looking at the child may or may not be aware of it. The eyes of people have very strong powers. My Grandma called it "From the Eyes" and she would immediately make Tiny Coals Cure, and the child would peacefully calm down and stop crying right in front of our eyes. Sensing negative energy and clearing it as soon as possible was just a normal way of life back then. "From The Eyes", as my grandma use to call it, simply describes a spontaneous reaction that happens between two people during which weaker person experiences a disturbance of bioenergetic protection of his or her body. In babies this is usually accompanied by intense and prolong crying, restlessness, sleeplessness or increased body temperature at times. If your child's behavior suddenly changes without any good reason after an event, family or friend visit, bus ride or playground visit etc., you need to clear negative energy around baby or child as soon as possible. otherwise a well and healthy baby or child suddenly starts crying, show signs of irritability, sleeplessness, slight fever, crankiness and loss of appetite or even vomiting without any other good reason. If you or your child received and absorbed negative energies after making Tiny Coals Cure you will see a powerful difference and change for better in about 10-15 minutes. This cure is very simple and extremely effective. It is still used often by mom's in Europe as it works amazingly well. You can also notice carriages with red ribbons or babies with red string bracelets as ways to protect babies and children from negative energy. I bless you with pure love and light. I bless you with health and happiness. I bless you with - add anything you wish. I bless you and I'm so grateful and thankful for you. You can do this several times per day. The more the better. The quality of your life comes down to the emotions you feel on a daily basis. The more times throughout the day you feel grateful and thankful the more you raise your own vibration and your entire family's well-being. If you use any other blessings or prayers in your own religion or traditions don't hesitate to use them often. These old sayings have a lot of power in them. Gently tie a red string or lace around your baby's wrist. These can clear negative energy around your baby until his or her 1st birthday very well. Tie a small red ribbon around the handle of your carriage or on the top of your carriage. A very effective way to protect against negative energy is also when you put your baby's clothes such as socks or t-shirts inside out. your baby - suddenly their attention is focused on the red ribbon or sock being inside out. This immediately stops them from focusing on your baby and his or her eyes. Instead their energy and focus is redirected somewhere else and gets weaker. That saves your baby from having to endure a stream of focused negative energy. Particularly we should pay very close attention to these issues with those people who care about our babies and children. 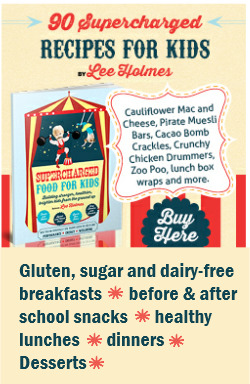 It would be ideal for day cares, schools, maternity clinics, doctor offices etc. if only peaceful and internally balanced people would work there. Many might argue that our internal emotions should be our private matter. However if more people would understand how stress, everyday worries, negativity, hatred, jealousy, constant irritability or mental tensions affect everyone in their surroundings, they might see the importance to re-balance and take control of their emotions and actions immediately. Clear negative energy around your baby or child if you or others have a burst of anger and say negative words toward the child. My grandma used to say that the eyes of people have very strong power. But if someone gives you a bad look accompanied by bad words - that's even more powerful. So be careful, hurtful words can't be taken back and they affect both the child as well as the person that said them very deeply. The best way to clear negative energy around your baby or child after an argument or fight is to burn sage if possible to clear the space. Just make sure to create soft smoke only if children are present. Don't forget to open your window a little bit so negative energy has a way to escape. Make sure you take steps to eliminate arguments and use of bad words in the future. Talk to your child when you calm down and if you crossed the line it's important you say that you're sorry to your child. Remember words harness energy and power beyond what we can imagine. There is a wonderful book from Dr. Emoto, a New York Times best selling author, The Hidden Messages of Water. 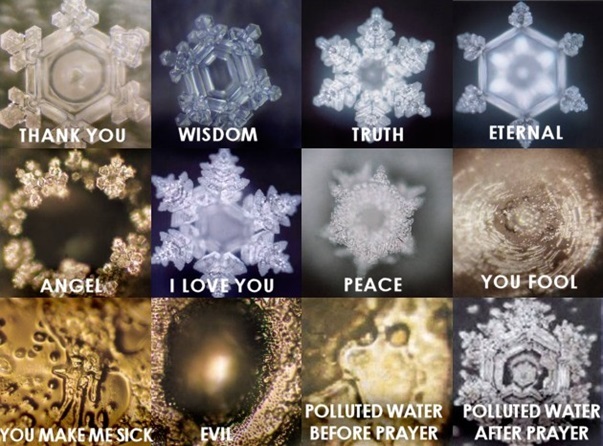 Dr. Emoto, a Japanese scientist exposed water samples to variety of words and then took photos of the water as it crystallized into the tiny ice crystals. As you can see, photos of words such as I Love You and Thank You formed astonishingly beautiful crystals. Low energy words such as I hate you or Stupid didn't even form crystals. They looked irregular and ugly. You can imagine how words affect everything around us. everything we eatcontains water (96% cucumber). I hope you will be compelled to add more high energy words to your daily vocabulary and use it often around and with your children..
your child. This simple act of blessing and gratitude increases your vibration and protection for your child each time you say it. What were the most influential words that positively changed your life in the past? What words should you add to your daily vocabulary to feel more thankful and grateful for many wonderful things in your life?